Bank CIMB Niaga's business results in the full year of 2016 showed positive performance compared to the same period at 2015. 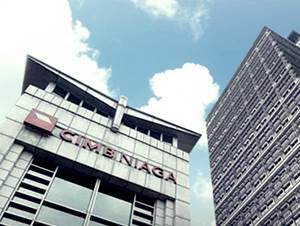 Referring to its annual report, Bank CIMB Niaga managed to record total net profit of Rp 1,875 billion in 2016. These total net profit figures equal to an increase of around 119% compared to Rp 856 billion in 2015. Male/Female, not older than 26 years old at the time of joining. Candidate holds at least a Bachelor Degree of any major from a reputable university. Good communication in English language (verbal and written). Diligent, honest, friendly, knowledgeable and thorough. Willing to be placed in all areas/branches of CIMB Niaga, especially in West Java. JobsCDC.com now available on android device. Download now on Google Play here. Please be aware of recruitment fraud. The entire stage of this selection process is free of charge. PT Bank CIMB Niaga Tbk - Mortgage Development Program CIMB Niaga April 2017 will never ask for fees or upfront payments for any purposes during the recruitment process such as transportation and accommodation.